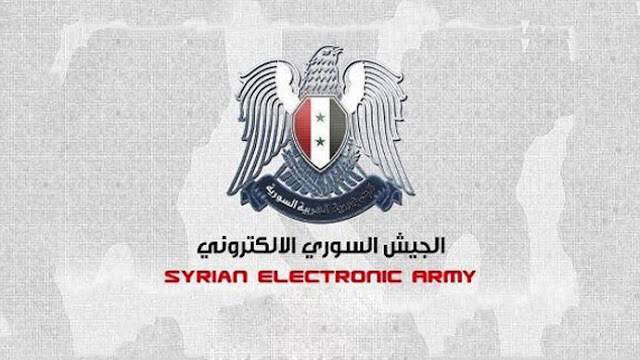 The Guardian's Twitter accounts have been taken over by pro-Syrian government hackers 'Syrian Electronic Army' , who previously targeted the Associated Press BBC, al-Jazeera, the Qatari government and National Public Radio in the United States, as well as France 24 TV. "We are aware that a number of Guardian Twitter accounts have been compromised and we are working actively to resolve this," a Guardian spokesperson said. Nine bogus tweets were broadcast in an hour, including some with anti-Israeli sentiments, and others saying “Long Live Syria” and “Syrian Electronic Army Was Here”. Cyber-security experts believe the SEA have targeted a series of western media organisations in an apparent attempt to cause disruption and spread support for President Bashar al-Assad's regime, which has been under increasing Western pressure to end an ongoing bloody civil war in Syria. The group's domain names were apparently registered by the Syrian Computer Society, which was headed in the 1990s by Bashar al-Assad before he became president. Many of the victims, including The Guardian, reported phishing email attempts before the successful hijacking of their Twitter feeds. Since last week’s AP Twitter hack announcing a bogus attack on the White House, which in addition to confusion briefly caused a $200 billion loss for the Dow Jones, many within the journalism community have been clamoring for additional security features from Twitter. One of the most demanded features for enhanced security from the social networking site includes two-step authentication, which might take the form of a code sent via text message in addition to a feed’s password. Some of The Guardian's Twitter accounts, including those focusing on books and film, were suspended on Monday.